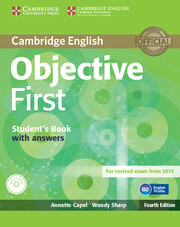 The Student's Book with answers contains fresh, updated texts and artwork that provide solid language development, lively class discussion and training in exam skills. 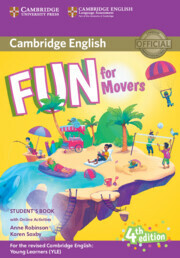 The 24 topic-based units include examples from the Cambridge English Corpus to highlight common learner errors, while vocabulary sections informed by the English Vocabulary Profile ensure that students are learning the most useful language required at this level. A phrasal verb list provides a handy reference.